So, you Will Smith-wannabes think you have the stuff to join the Men in Black? Slip on the black shades, enter the “recruitment program” at MIB Alien Attack and find out. Issued laser guns, passengers travel in ultra-sophisticated vehicles through an alien-infested New York City streetscape and rack up points by blasting the otherworldly bugs. These bugs, it turns out, blast back. It’s zap or be zapped time. Ride hint: Don't bother repeatedly pulling the trigger on your zapper. Just keep the trigger engaged, and it will constantly fire a steady stream. The fun begins outside the building. Designed like a cheesy, brave new world's fair pavilion, circa 1964, signs and posters advertise “The Universe and You” expo exhibit. A retro theme song plays as guests enter a glitzy, 60s-era room. A recorded voice begins a syrupy presentation about the search for life in the cosmos, but it soon grinds to a halt when Agent Zed (Rip Torn, reprising his role from the film) instructs the “scrubs” to enter a secret elevator. Once inside, Zed apologizes for the ”phony theme park nonsense.” It's just a pretense to protect the identity of the shadowy MIB headquarters. You have to love Universal for its self-aware and self-depreciating sense of humor. The elevator takes recruits to Intergalactic Alien Immigration Services. Referencing the film, the inside queue snakes past a break room with startlingly lifelike and funny wormy guys. Trainees then pass through Immigration Control, complete with large-screen video announcements of narrowly averted impending doom. It’s all in a day's work for the MIB. Be forewarned: As if the hordes of bugs hiding throughout the cavernous ride aren’t enough of a challenge, the passengers in the vehicle riding alongside yours are “actually” bugs in disguise. Of course, they think you and the riders in your vehicle are also aliens. With aliens lurking everywhere, it’s hard to get a handle on the game play. Video game mavens may have an easier time scoring points than those of us who weren’t weaned on Nintendo. The laser guns do not emit a trail, and the aliens do not have clearly marked targets. The bugs respond more to shots around their foreheads and chests. With all due respect to Shakespeare, when it comes to theme park rides, the story’s the thing. The latest whiz-bang technology wears thin quickly if it doesn’t serve a great story. With its highly articulated animatronics, sophisticated ride vehicles, and engaging, recognizable story, MIB is a load of fun. It’s more ambitious than the similar shoot-em-up Buzz Lightyear attraction at Walt Disney World's Magic Kingdom (although the newer Toy Story Mania at Disney Hollywood Studios has more engaging game play). 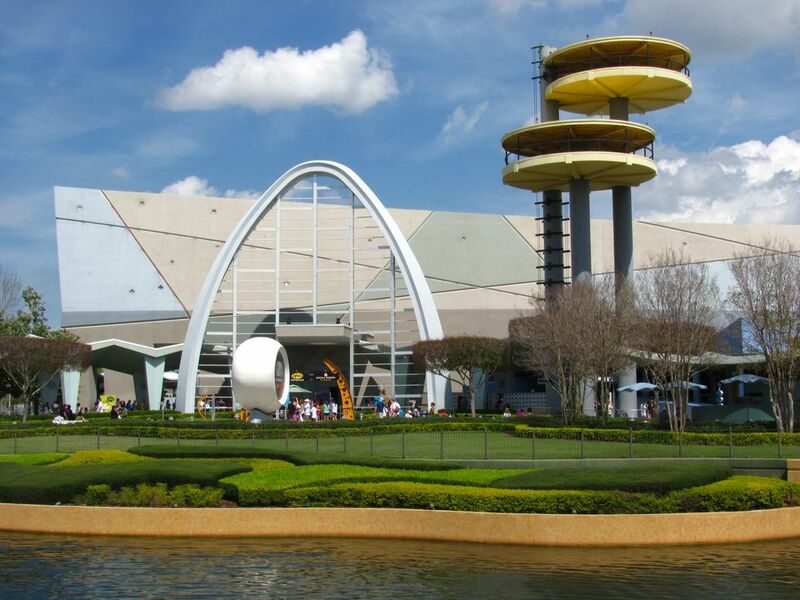 Although the attraction has aged, and the MIB movies are getting long in the tooth, we consider MIB to be one of the 12 best rides at Universal Orlando. Depending on each vehicle’s collective score, the ride offers multiple endings. Unless you are a seasoned video game player, it's likely Will Smith will give you the losers' sendoff: a condescending, “Better luck next time, Slick” before he “neuralizes” you. Then again, maybe you'll have better luck, scrubs.